Area 51 is the remarkable story of a man called Bob Lazar who walked into KLAS-TV, Las Vegas, in 1989 and claimed that he had worked at a Top Secret Military installation called S4 out in the middle of the Nevada Desert. He said that he worked for the Department of Naval Intelligence, through a defense subsidiary called EG&G, and that his job was to analyze the propulsion system of a crashed alien spacecraft. He claims that he received a detailed, top secret, briefing on a number of ‘recoveries’ that had been made by the US government of ‘crashed space vehicles’ as well as EBEs ‘extra-terrestrial biological entities’. According to Lazar, the US Government had been ‘back engineering’ alien craft for over fifty years, resulting in a number of ‘exotic’ new products, such as Kevlar, fiber optics and the stealth coverings for aircraft, which were then developed and sold to large multinational corporations. 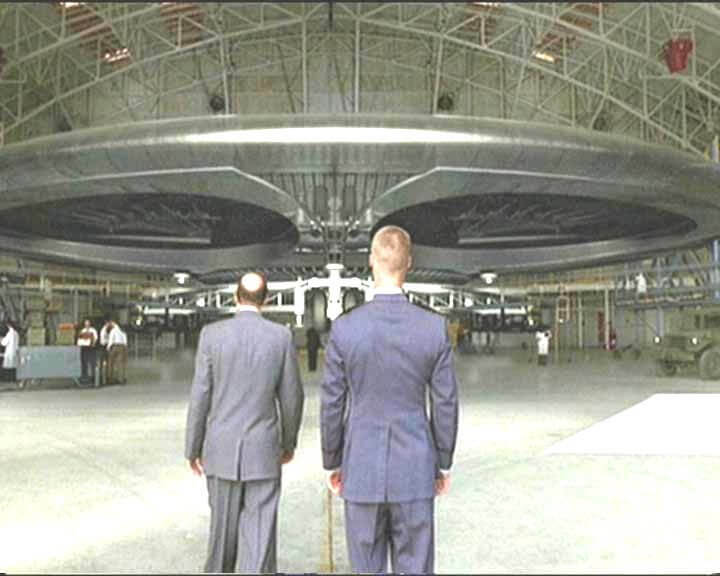 He also claims to have witnessed ‘test flights’ of ‘man-made’ flying craft which were utilizing this ‘alien’ technology. As outlandish as his story seemed, the KLAS-TV reporter, George Knapp, has spent 20 years standing up Lazar’s claims and credentials, and believes that there is some truth to his claims.